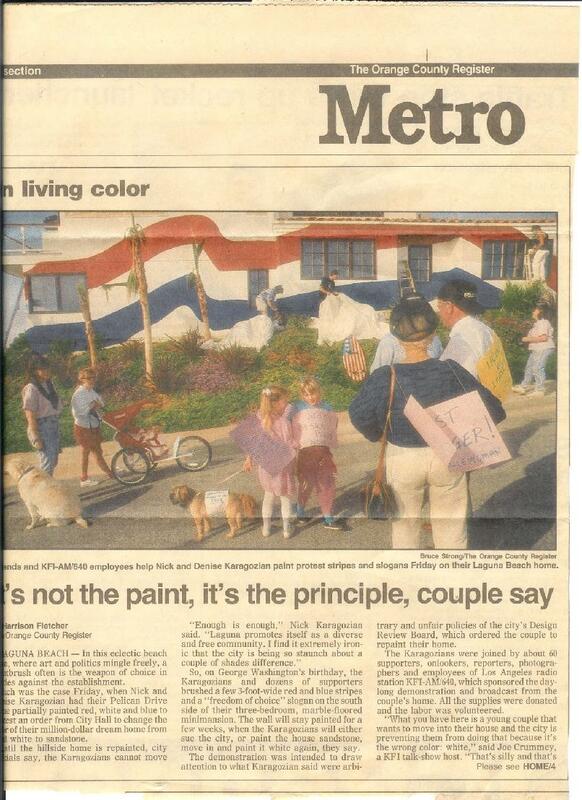 I used to listen to Joe Crummey on KFI Radio in Los Angeles and one night he talked about a young couple in Laguna Beach that coudn't move into their new home because the city design review board deemed their house "too white". I called Joe and offered to create the "Ballad of Nick And Denise". He invited me to perform "on air" at the protest and the story went national a few days later. We had a great time and I have the radio clips below. The first clip is left "long" because it provides context...Our troops were in Iraq (the first time) and Van Halen had just picked up Sammy Hagar. Free Speech was alive and as far as I know, still "untapped".